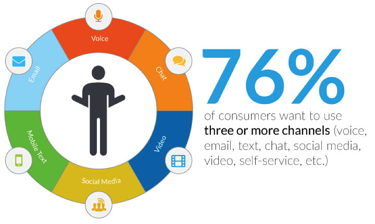 1) Deliver Multichannel Support: When considering the fact that 76% of consumers want to use three or more channels (voice, email, text, chat, social media, video, self-service, etc.) during a single transaction with a company, multichannel customer service should no longer be considered a means of competitive differentiation—it should be considered an absolute necessity. In fact according to the Aberdeen group, companies with extremely strong omnichannel customer engagement retain on average 89% of their customers, compared to only 33% for companies with weak omnichannel customer engagement. But to deliver on the needs of their multichannel consumers, businesses must ensure not only that they are converging all digital channels under a single roof, but also that customer information (stored in a CRM or customer service management) is readily available to agents across all touch points, facilitating streamlined and informed interactions. 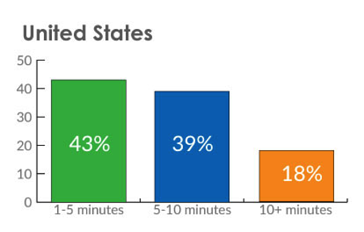 2) Reduce Average Time in Queue: When it comes to waiting on hold, studies have shown that only 43% of consumers are willing to wait for longer than a minute, 39% for longer than five minutes, and only 18% for longer than ten—meaning that 57% of consumers will hang-up if their call is not answered by a live individual in less than 60 seconds. And failing to plan for high call volume or fix long wait times could present businesses with a number of challenges, including lost sales and reduced customer loyalty. Aside from staffing appropriately, which can often be miscalculated or outside of a manger’s control, businesses should offer callers the option to remain on “virtual hold”, which enables them to hang up and be called back when an agent becomes available—a quick, yet effective fix. Updating customers on their wait time or position in queue can also help alleviate frustration. 3) Optimize Call Routing: Cited as one of the most frustrating aspects of a customer service experience, constant transferring has always been an ongoing issue within the call center space, with one in four consumers reporting constant transferring with no resolution of their problem or inquiry. But this problem can be minimized or eliminated with the help of modern call routing tools (IVR, automatic call distribution, skills-based routing), which can quickly identify customers and automatically route them to the individual most qualified to address their needs. Simple and effective, these tools can help minimize customer frustration while drastically reducing help center costs. 4) Ensure Customer Information is Documented and Readily Available: An astounding 42% of service agents are unable to efficiently resolve customer issues due to disconnected systems, archaic user interfaces, and multiple applications. 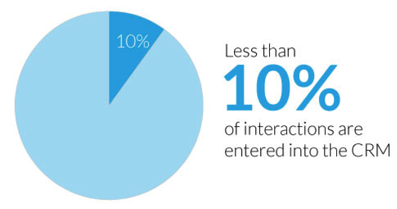 And less than 10% of interactions are entered into the CRM, limiting an agent’s insight into a customer’s service history. But by integrating the CRM with a contact center solution, users will have immediate access to all customer information upon every interaction, and all call details (time, date, notes, recording) will automatically be synced with the CRM, ensuring users have insight into all previous interactions. Not only will it enhance agent efficiency, but it will also drastically improve first call resolutions and customer satisfaction. 5) Measure the Results and Tweak Accordingly: Perhaps the most important factor in boosting customer satisfaction scores, and one that does not directly impact customer interactions, is obtaining robust performance insights. Measuring anything from a specific agent’s CSAT score to the entire contact center’s first call resolution rate, customizable reporting can help highlight a help center’s strong suits and progression, or areas that are falling behind and need improvement. Robust reports can also help managers understand if changes need to be made behind the scenes, such as more in-depth training, adjustments in workforce, or tweaks to existing business processes. While it is not a crystal ball, a customizable and robust reporting engine can help guide a help center in the right direction. 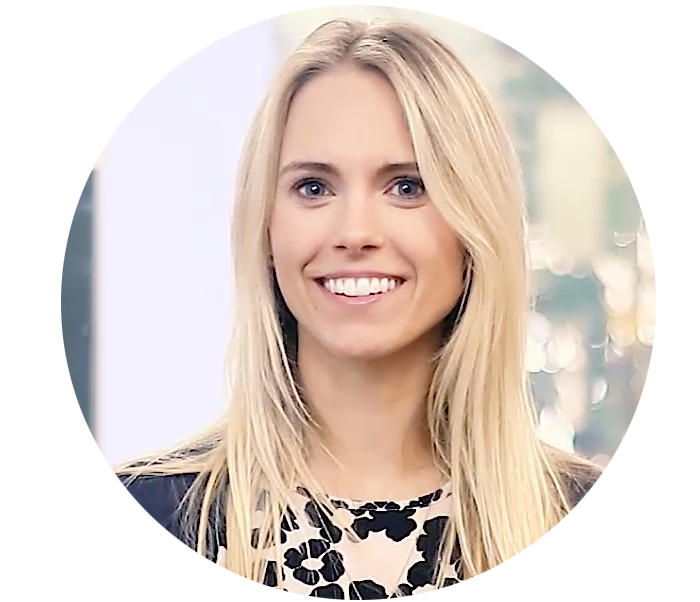 Rachel Brink is the Marketing Manager at 3CLogic with over four years of experience in sales and customer service. In her role, she routinely shares best practices regarding how to streamline business communications and enhance the customer experience through innovative technologies and processes.